It's time once again to be whisked back to a simplier time, one that was dominated by "Mom and Pop" toy chains and the wonderful, almost chaotic way toys were distributed. 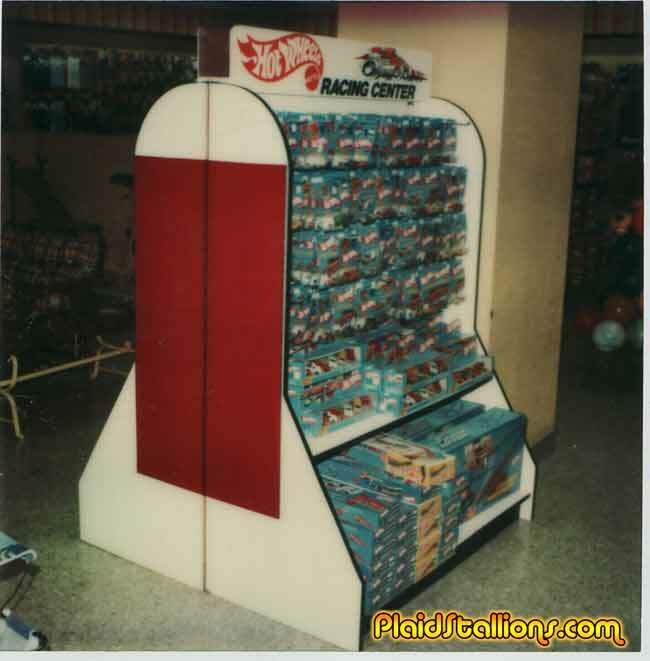 Vintage Toy Store Shots twelve is different from previous entries in that it features images from a former Mattel employee, who seemed to in charge of taking shots of retail displays and while Mattel stuff is in the fore ground, there is a lot of neat stuff going on in these. 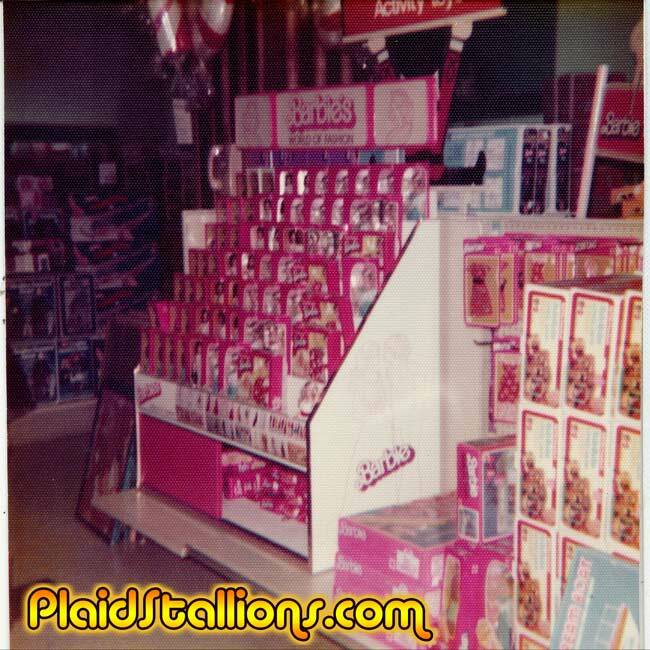 An aisle of lower cost goodness, wish it wasn't so blurry but I can make out some Mego Dukes of Hazzard figures. Notes say it's a store called "Broulles" in Norfolk, VA. 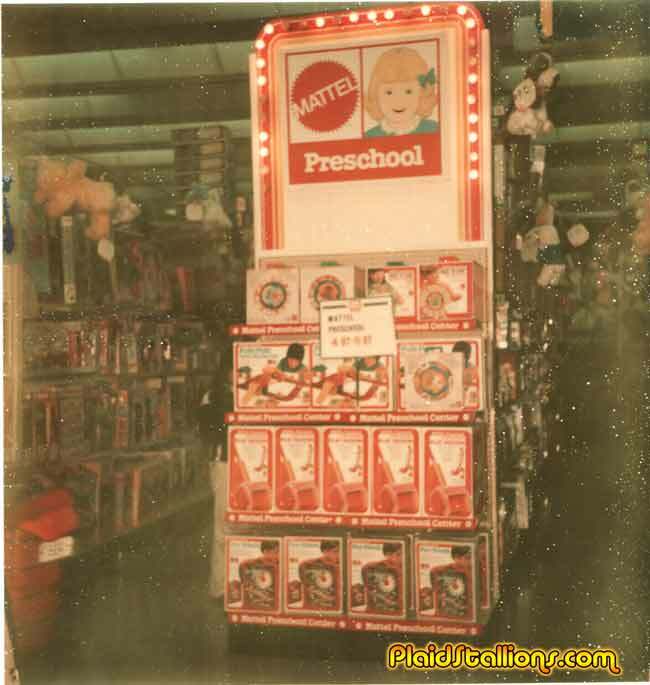 I'.m trying hard to make out the hand writing..
A nice endcap of Mattel preschool toys from 1980 in Okeros, Michigan. 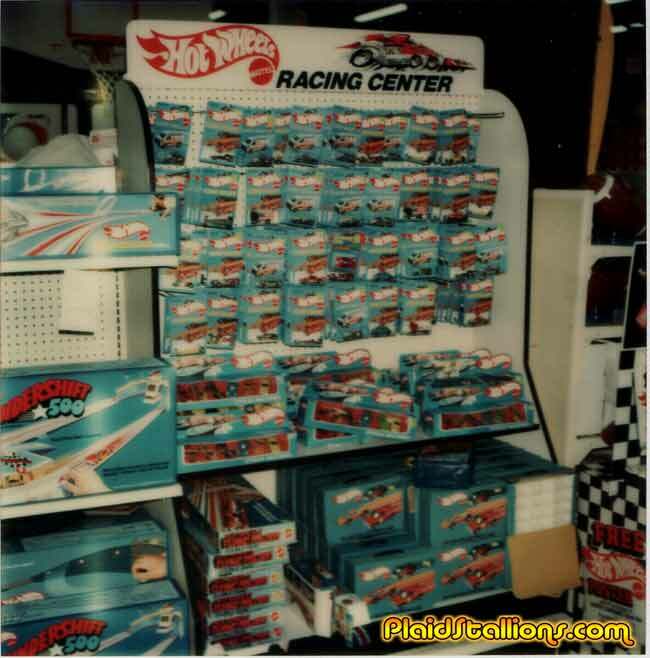 This large Hot Wheels display is from a Playworld in Long Island. However, this one is from a Wieboldts in Chicago. No clue as to where this is but the words "Eye Catching!" 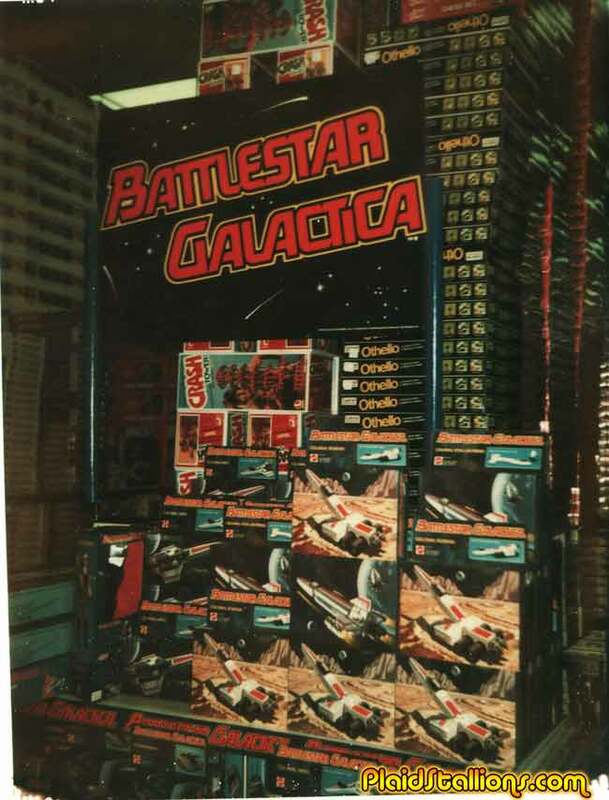 is written on the back of this shot of wonderful Mattel Battlestar Galactica items. 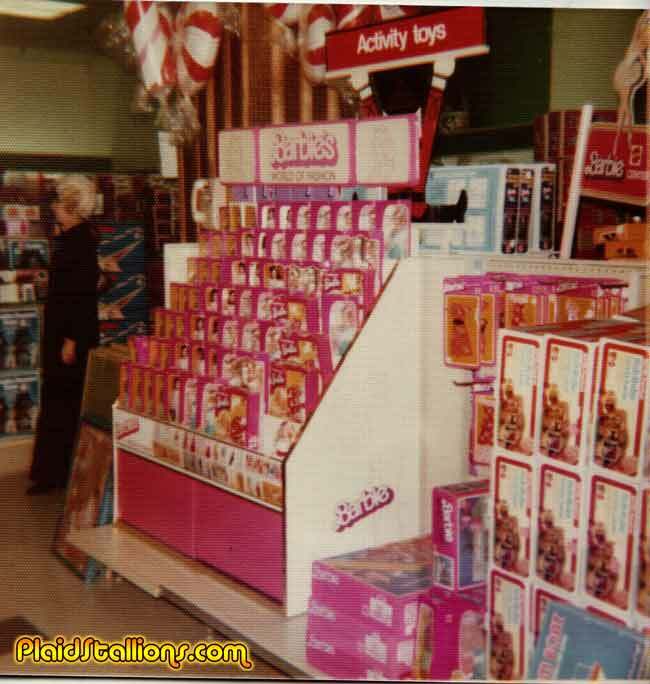 While I enjoy this Barbie display shot, I'd appreciate seeing the toys in the background, wish Mrs Howell would get out of the way. Oh that's better, I can see a Weebles haunted house and the Mattel Flying Aces sets. 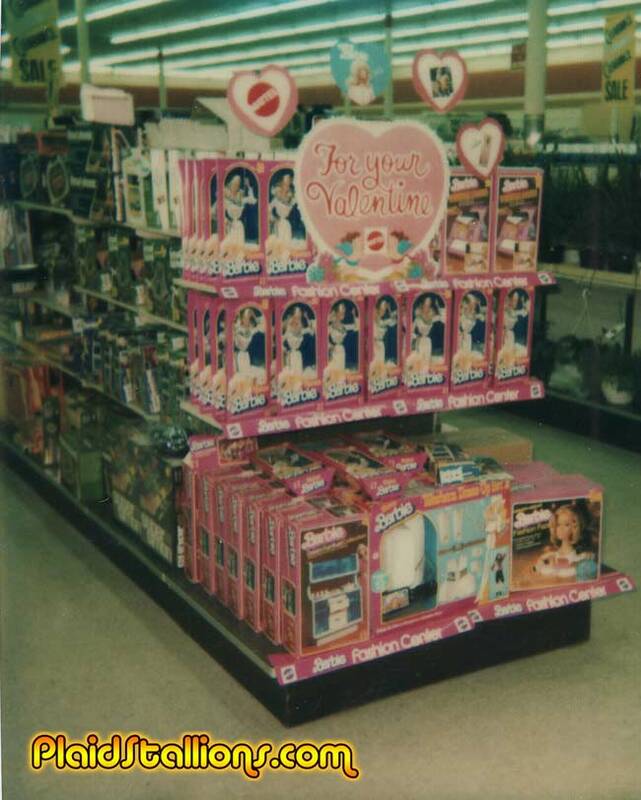 A little more Barbie from 1980, this time it's in a K-Mart in Delray, New Jersey. 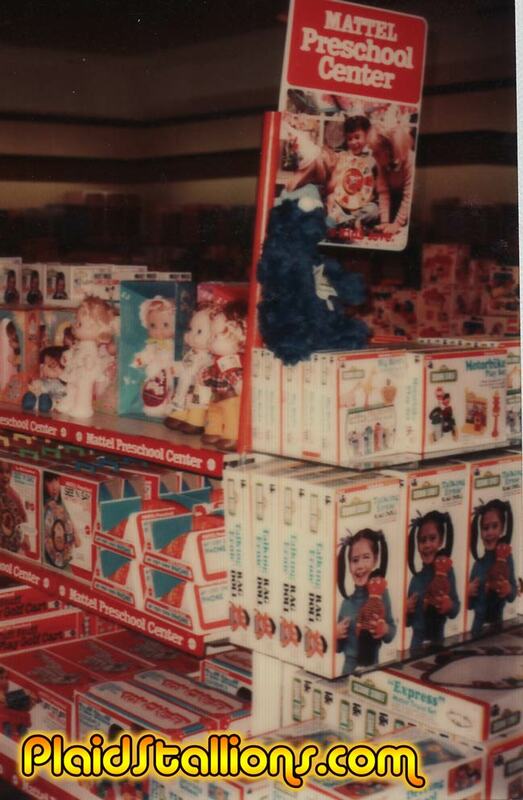 A whole endcap of Sesame Street goodness, drool. 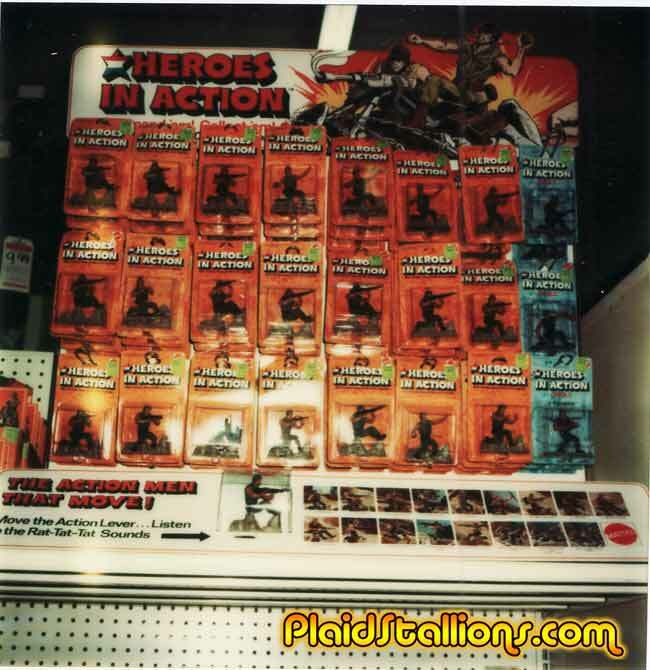 I've never seen such a thing as this Mattel Heroes in Action store display but this line is one I get a lot of "what was that toy?" emails about.